There’s a great choice of gifts to buy for the Shetland Pony Lover to suit all purses. Find out more about the Starter Ride, Pony Morning and Camp Day gift vouchers available here. Adopt a pony, Robin Hood, rescued pony at Shetland Pony Club. 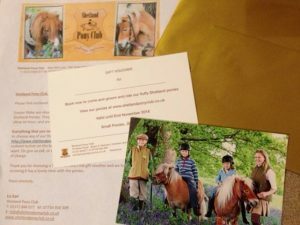 Receive a beautiful pony gift pack, access to Robin Hood’s own website, quarterly email updates and a voucher to visit him. Learn all about him and show you care. All proceeds go to help other horses in need. 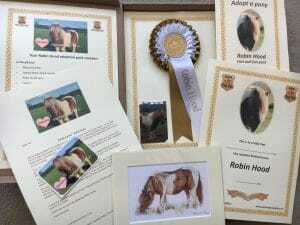 By adopting Robin Hood you are supporting our current horse charity, The Horse Trust. Find out more about Adopt a pony here. 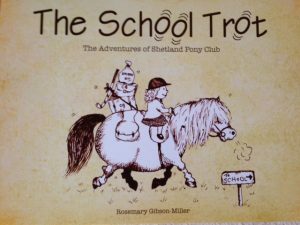 It’s all about her very first Shetland pony, Billyboon and Camilla, who really did ride to school on a Shetland pony. More about The School Trot here.